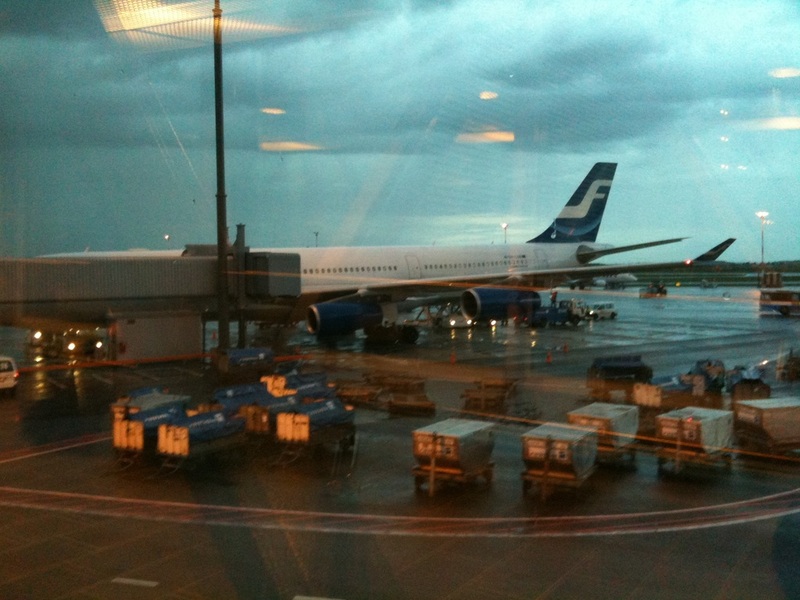 << I took this photo when I had just arrived in Helsinki-Vantaa Airport. When I was writing my last blog, I had just become one of the student helpers in Professor Ricky Wong's research laboratory. In late july, I paused my work in the lab and became a checker in the Population Census 2011 launched by the HKSAR Census and Statistics Department. The census was really interesting and I learnt a lot from that. I had tried to overcome my fear of talking to strangers in this period of time. Although I am still a little bit shy, I got improvement after the doing survey with more than 50 families. After the census ended, I returned to the lab and continued my study on MicroRNA in NPC. I really enjoyed working with all the members in the lab who were very kind and patient. I only got some trends of the amount of MicroRNAs as result in my presentation, but I treasure everything that I had experienced in the lab. I learnt protein assay, western blot, Reverse transcription, Real-time PCR and also how to organise my own logbook. For these, I sincerely thank Professor Wong for giving me this precious opportunity to work in his lab, Ivy for teaching me all the protocols and giving suggestion on my exchange in Finland, and also all the lab members for being so friendly to me and teaching me lots of survival skills in the lab. As you can see from the very first beginning of this blog, yes I am now in Finland~ I am going to stay in Jyväskylä for the whole academic year with my schoolmate Paddy. Actually, Paddy and I stayed in Helsinki for two days before going to Jyväskylä. Helsinki is such a beautiful place that I wanted to live in Helsinki for longer period of time. As for Jyväskylä, Mm...... It is also a good city as there are several beautiful lakes near the University. However, I don't get a good arrangement for my apartment, that's why I felt depressed when I moved in. Well, the world is not perfect any way. Come what may, I have to solve the problems when they come to me. By the way, hope I do survive before I fix everything. Cheer Up and wish me good luck!! !